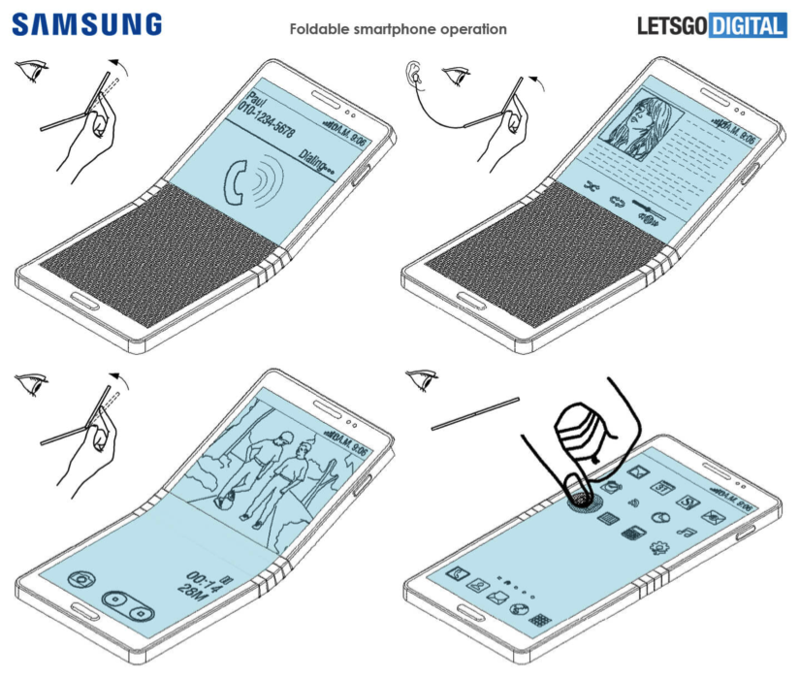 A new set of patents was discovered for Samsung Project Valley folding phone , showing off the phone’s operation when not folded. 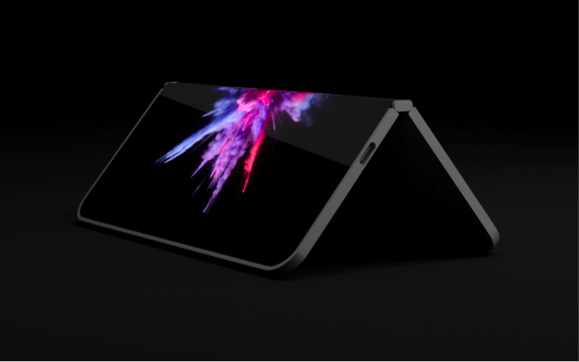 The ‘Foldable smartphone operation’ patent was filed with the USPTO and WIPO The documents show a clamshell phone with a flexible screen. The display is light and thin. It’s also described as very resistant to external impact. The display is also fully functional when unfolded. When one side is bent, the lower part of the screen will be turned off. A bending sensor is found and this is said to check the extent of the curve of the screen, bending speed, bending time, and even the bending angle. There’s also what is called a pre-bending state of about 10 to 25 degrees. It is when the phone can return to the unbent (“unbended”) position automatically, which becomes useful so there is no pressure exerted on the back. In cases when pressure is applied to the back, the phone may not fully open or the touch input would be activated. The document also shows the different widgets including an S Pen icon. Other features include a quick view window, Bluetooth, WiFi, NFC connectivity, motion sensor, and a touch sensor. Based on recent comments by the head of Samsung Electronics’ mobile division during a visit to China, Samsung will be abandoning its optical fingerprint identification system for the Galaxy 10 family and potentially other high-end smartphone models. The conversation indicated that Samsung was pursuing an ultrasonic fingerprint solution that it considers to be more accurate. We believe Samsung received samples of some of the module components last year and has been evaluating the technology, which could become both a feature and a selling point for the next iteration of Samsung high-end smartphones. 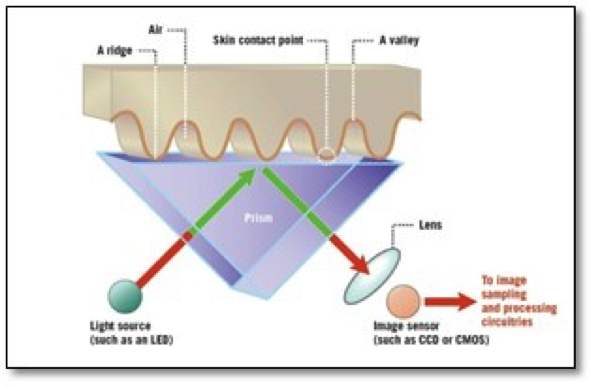 Optical scanning modules are used for fingerprint identification in low-end mobile devices, a system that uses high-resolution image sensors and LEDs to capture a 2D image of the ridges on your finger when you touch the sensor area. Because the image is 2D and does not capture depth information they can be fooled by high resolution picture or even well-made prosthetics, and tend to be thicker than current smartphone designers would like and are being replaced by capacitive modules that use an array of very small capacitors attached to a sensing plate. The capacitors will hold a different charge value for fingerprint ridges or valleys and that data can be translated into a ‘map’ that is very difficult to physically fool. Capacitive scanners are more expensive that optical scanners as the number of capacitors is high, but systems that reduce the number of capacitors by taking very fast readings when a user swipes the sensing space rather than touch it, have been developed, but poor results from some early models have made smartphone designers a bit reticent about using them. 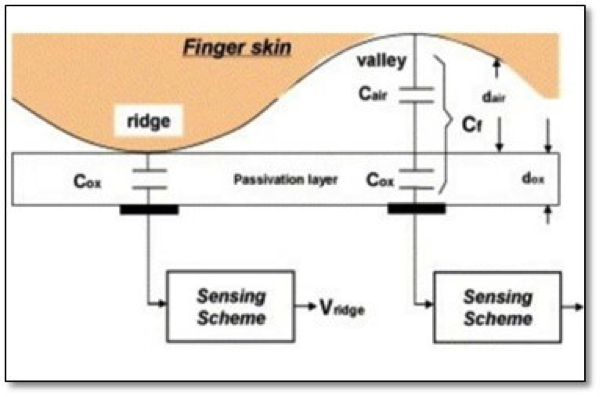 Ultrasonic fingerprint sensors, which have been around in smartphones since mid-2016, use an ultrasonic transmitter to bounce signals off of the finger and a similar frequency receiver to capture the reflections which indicate the physical form of the fingerprint, creating a 3D image that can capture minute details down to pores and blood flow. That said, scan time is essential for a detailed image so systems are still being developed that work toward keeping the scan time low. advantage of being produced by the same company that produces the Snapdragon processor series that are used in a wide variety of smartphones. Qualcomm’s system can scan through OLED stacks, glass, and metal giving it the ability to be placed under display components, and would likely be the basis for the Samsung Galaxy 10 family, along with other fingerprint ID module components from GIS, O-Film and others. If Samsung is successful with the technology and can continue to reduce costs, the ultrasonic ID could spread across a number of Samsung’s high-end models over time. There are estimates that the installed base of smartphone is over 5b and that the installed base of feature phones is ~1b, meaning that the industry has reached 82% of all the people in the world. What happens when a device category saturates it user base? Perhaps a good place to look is in the US. According to a survey of 3,600 phone users taken in 2H 2017 by NPD, the average smartphone replacement cycle has increased from 25 months to 32 months over the last year. As the price of high-end smartphones reached stellar heights last year, with the iPhone X and similarly priced high-end offerings from other major brands, consumers are being a bit more restrained about jumping to the latest and greatest new phone to the detriment of retailers and brands alike. How nervous they are will be reflected in Apple’s and Samsung’s upcoming offerings, followed by the slew of products to be announced at Mobile World Congress next February.